There's diamond mutual funds now! ← NYC Wholesale Diamonds is now the Top Rated Wholesale Diamond Company in New York City! Diamond Mutual Funds are here, and there will be many more coming! NYC Diamond Blog has been informing our followers for close to a year now that Exchange Traded Funds consisting exclusively of Brilliant Cut Round Diamonds are close to becoming a reality. That information has been confirmed by our industry contacts, and now here is the latest from an internal trade publication confirming that this innovation will in fact be more widespread than original foretasted. 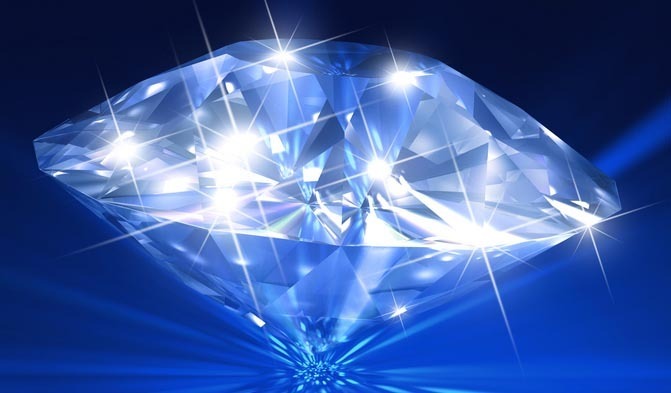 Indications are that by the end of calendar year, there will be a number of traded portfolios on the investment market that are based on diamond commodities, according to the Economic Times. Among the firms intending to turn precious gems into trading commodities are Swatch’s Canadian retail chain Harry Winston. IndexQ, a firm that has already brought over a dozen exchange-traded funds, or ETF’s, to market in recent years, is close to actualizing its plan to do the same for diamonds, first reported here two years ago. The Securities and Exchange Commission is now considering its proposal, to be based on 1-carat gems that would be stored in an Antwerp vault. Harry Winston is collaborating with a Swiss asset manager to establish a quarter-billion dollar fund which would funnel hedge fund and pension cash into purchases of its own diamonds ranging from half a carat to six carats. Diamond industry expert Martin Rapaport has also hinted that he intends to release investor-friendly diamond products by year’s end, but gave no details. Diamond industry players hope to repeat the success of the gold market, where investment has driven growth to great heights. According to the Economic Times, commodification of diamonds was tried in the past but it didn’t take, in part because it made little sense when the diamond industry was dominated by a single company, De Beers.